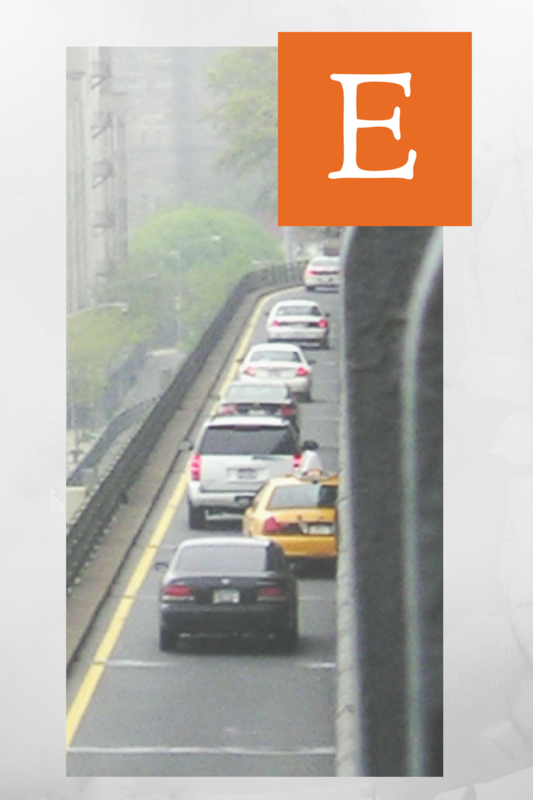 Etsy tracks our traffic sources for us. The stats “bean counter” computer algorithms read code at the top of each landing page. It is nicely compiled it for us into the report at the top right of the stats page. This is similar to the outside traffic sources. Just click on each traffic source to find out on what page the shopper landed. Search is at the top, the way we like it. My titles and tags are doing their thing. My shop is optimized for Etsy search. Your shop. Someone was exploring my shop and went from one page to another page within my shop. This happens when people browse your shop, a more common situation when a shop specializes and offers items targeted at one type of person. Personally, I am more of a selling generalist; however, with 500 items in my shop, I do specialize in some specific types of items. Teams. I’m pretty active on teams, as you can see. This figure also reflects traffic from Etsy's forums. Your Listings. This is traffic from one listing to another listing in my shop. Most of mine are shop views. Perhaps someone found my item and then stopped to check out my shop. They could have gone from item to item browsing. Or, perhaps they came in from an image search to a sold item of mine and clicked one of the “You Might Be Interested In” listings from my shop. Or, someone clicked on a link in my listing linking them to similar items in my shop. All of these scenarios are part of item “discovery” on Etsy. Other. 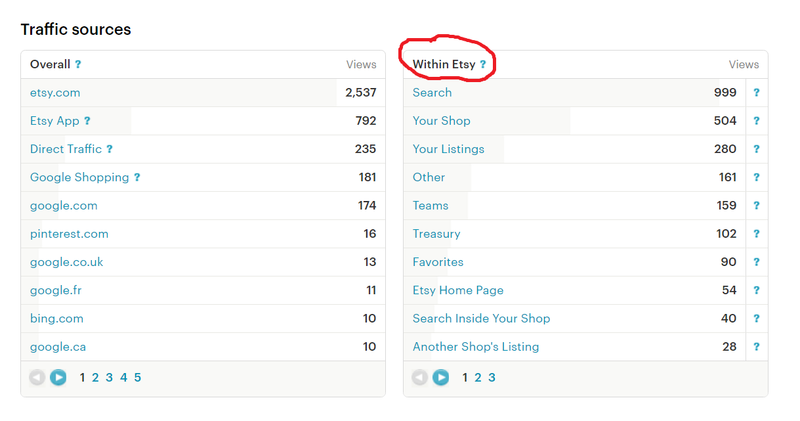 Etsy doesn’t tell us exactly what “other” refers to. Views came in from sources that Etsy does not track. Possibly the site is new, or it could be one of thousands of smaller traffic sources that doesn't merit tracking yet. Treasuries. These have been discontinued. Favorites. Traffic from someone else’s favorites. This is the “spider web” effect of our followers checking out our favorites and their followers seeing our items. This is also included in the “discovery” part of Etsy. Another shop’s listing. This is traffic from the “This item is unavailable” page. Your Profile. This includes people looking at items from your profile page. Most of mine led right back to my shop. This number is possibly skewed high for me because of team or forum activities. Categories. Clicks that originate from “Category” pages. Those are the new drop-down sub-sections used by buyers to hone in on exactly what they are seeking. To do well, we need to have great photos and use the best categories available. Your Shop Section. This is traffic from your Shop Sections. The more your shop specializes, the better. Someone’s Profile. This type of traffic occurs when someone sees your item on someone else’s profile. It is part of the “spider web” effect of followers’ favoriting our items and their followers clicking on them. Successful shops harness this! This is yet another part of Etsy’s unique “discovery” process. Conversations. Someone clicked on your shop or item from their conversation with you. Hit or miss. I don’t find this to be very significant. Search inside Your Shop. We like to see it when someone searches our shop. Your About Page. Traffic from there. Purchases. These are defined as “traffic from someone else's purchases page." We hope that past buyers are checking out our shop again. However, these are all views of my shop. 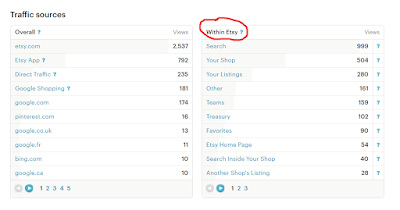 I asked about this recently on the forums, and Admin currently says that this traffic is from “when a buyer completes a purchase,” “additional items on Etsy are shown.” If that is the case, wouldn’t it be my items and not my shop? I never heard anything more back from admin on this discrepancy. Shop Updates. Etsy tracks at least some of the clicks we receive from Shop Updates. I do a lot of them, but the return isn't impressive so far. Admirers. Traffic from an admirers page. Shop Search. Traffic from people who searched within my shop. NOTE: there is no way to know how well all the aspects of Etsy’s providing us stats is working. Take all stats with a grain of salt. So informative, Joanne. Great job!